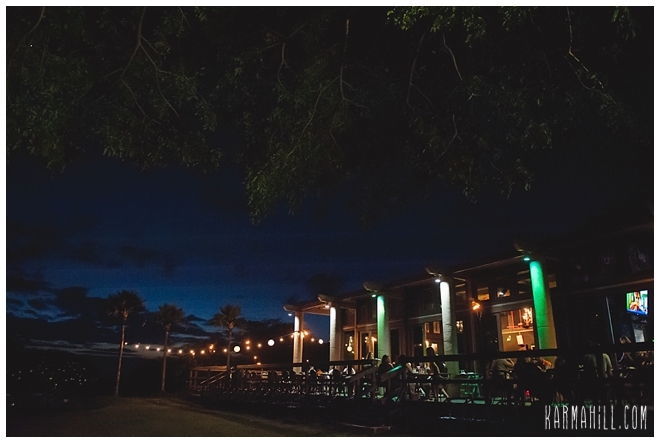 Jamie & Raymond were married at Polo Beach last week and we had so much fun being a part of it. 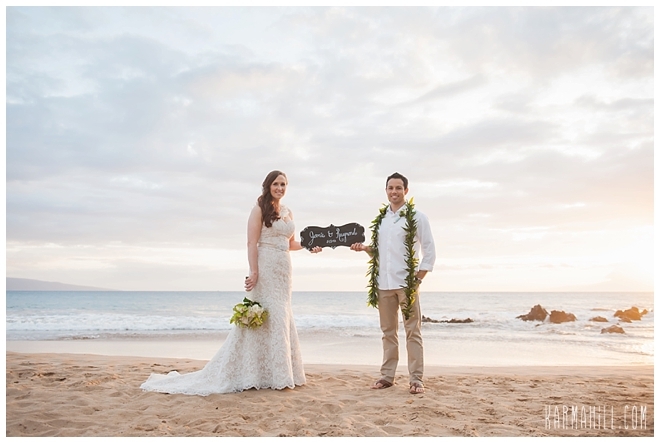 They had about 25 guests which is a pretty good turnout for a destination Maui beach wedding. 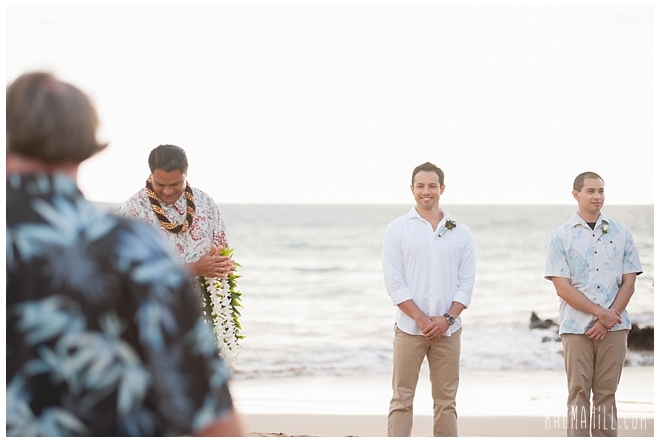 The excitement that lit up Raymond's face when he turned and saw his bride for the first time was so sweet! 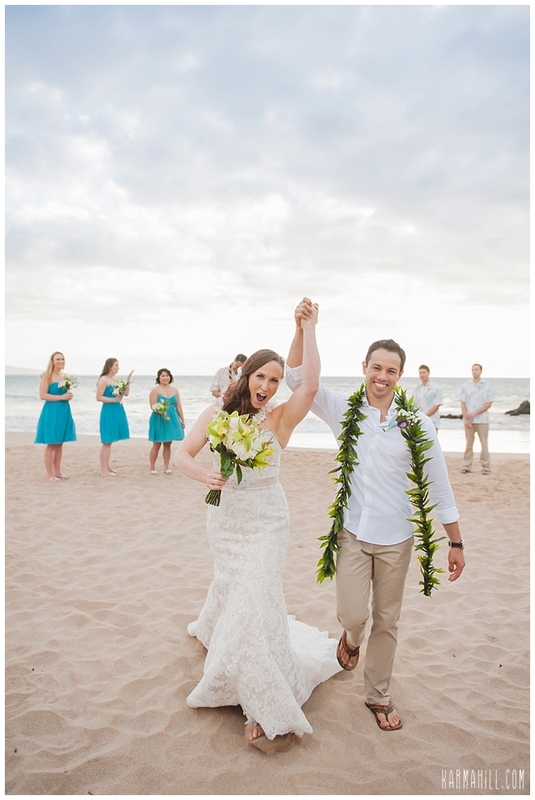 Then when they were pronounced husband and wife Jamie couldn't contain her excitement. 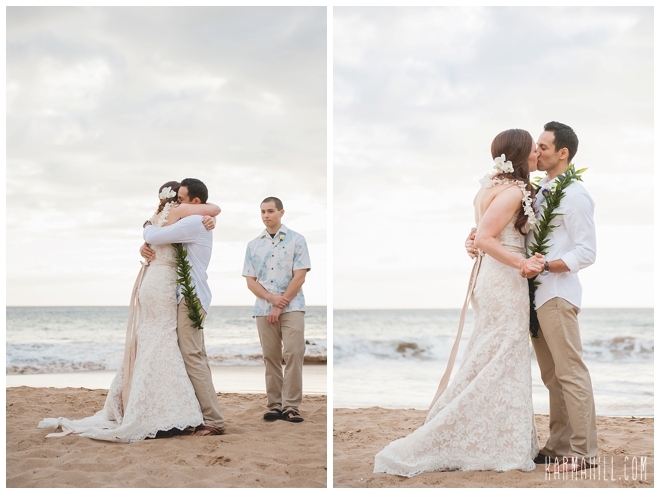 She jumped up and gave her new husband a great big hug. 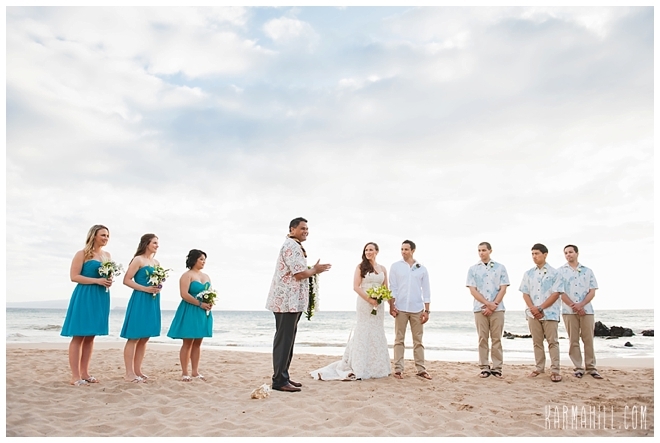 Reverend Valentine Rosete officiated the ceremony along with staff photographer Naomi taking pictures. 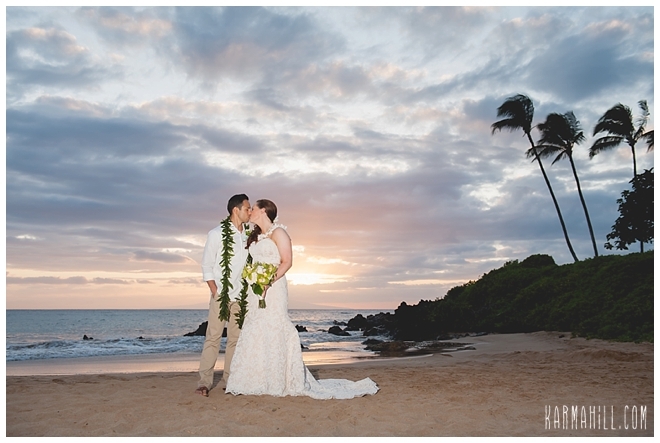 After the ceremony, they took full advantage of the gorgeous dreamy light for sunset pics and then traveled up to Mulligan's on the Blue for their dinner and reception. 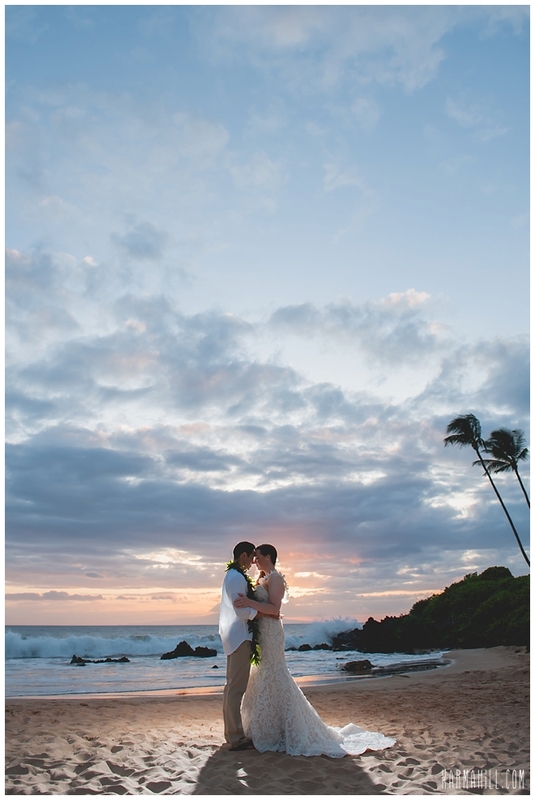 It was a perfect night for a Maui beach wedding and we were honored to be a part of it. 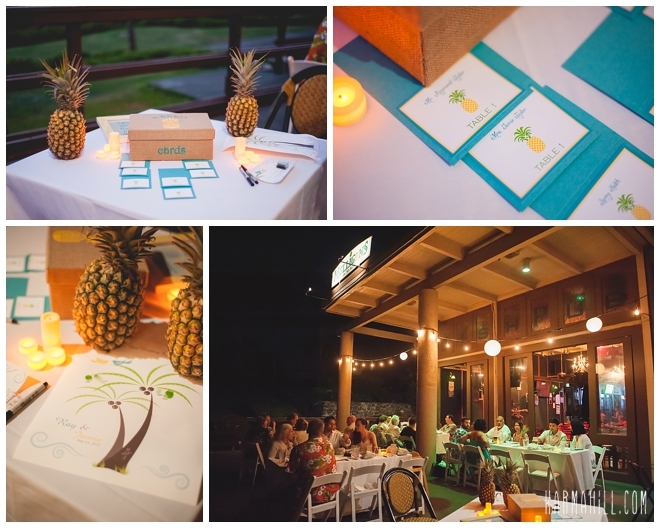 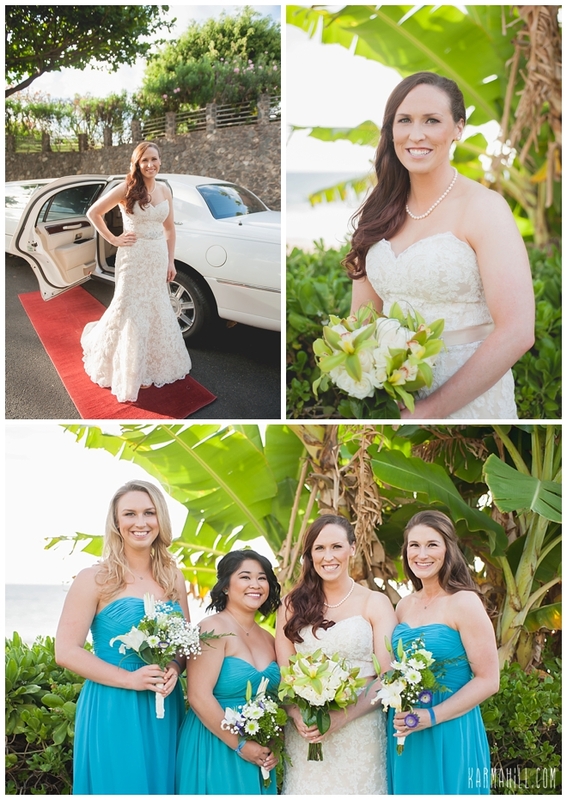 Thank you so much Jamie & Raymond for choosing Simple Maui Wedding! 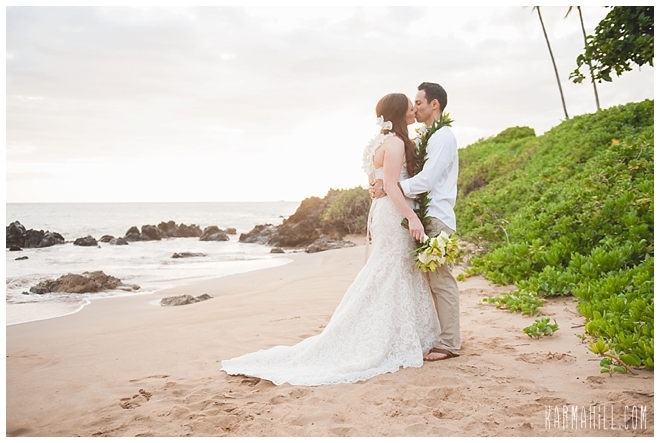 We wish you two many years of love and happiness... and excitement! 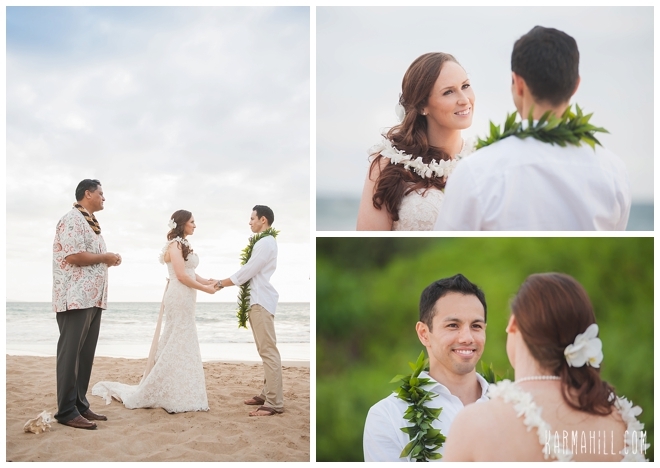 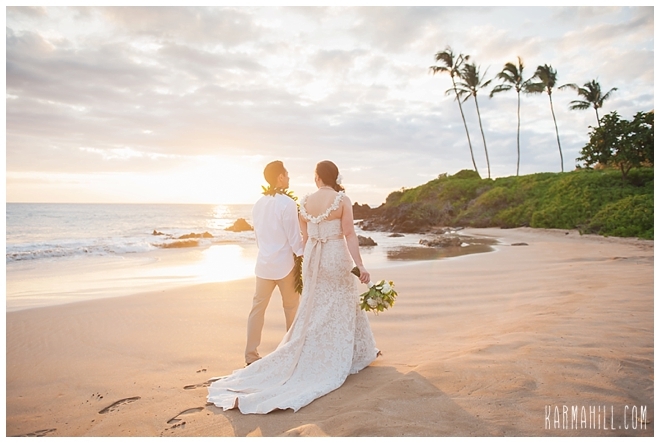 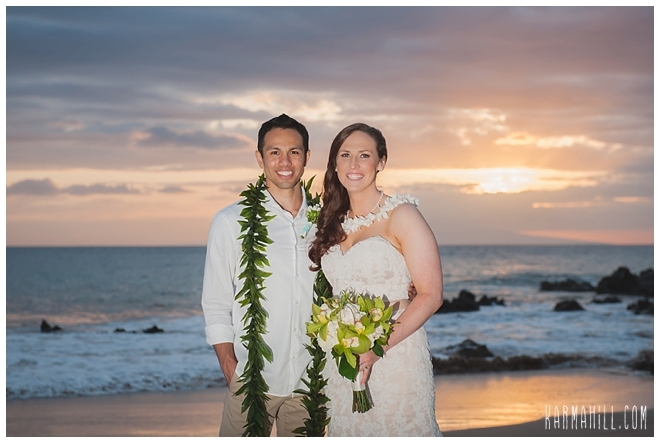 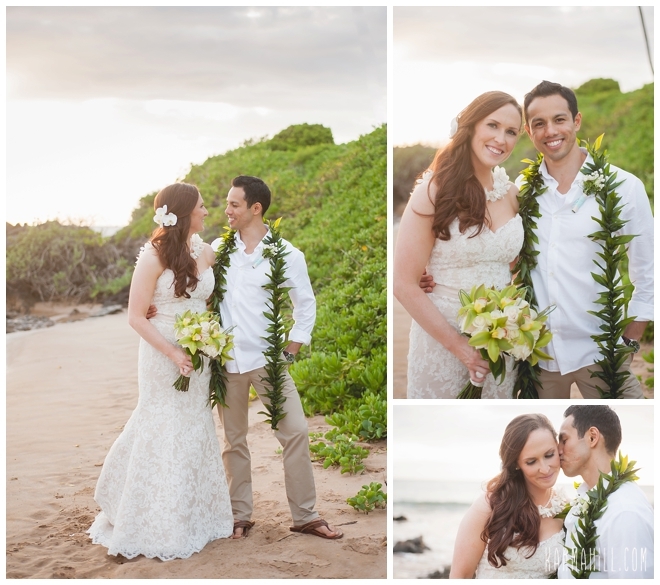 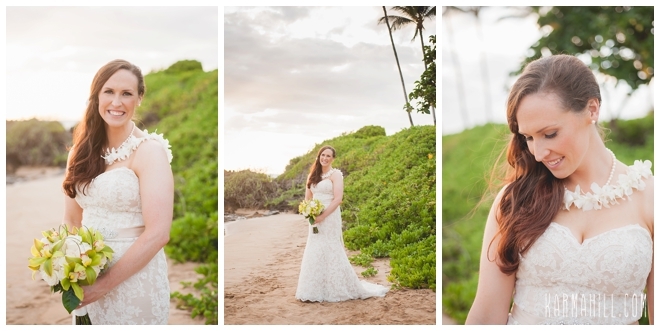 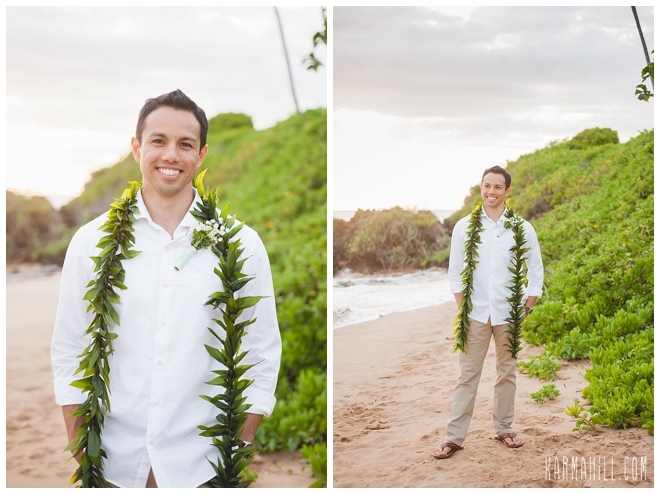 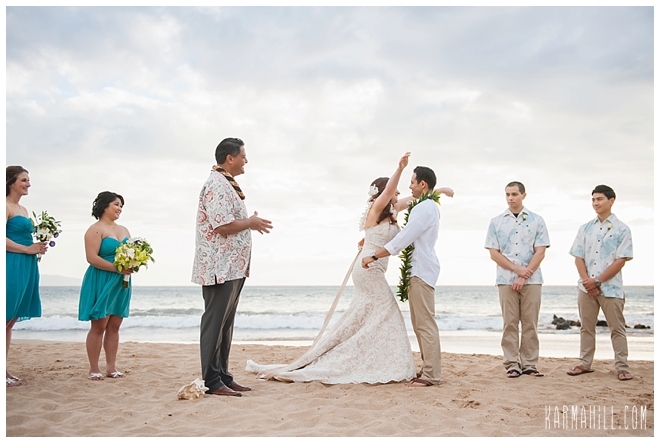 Check out our last Maui beach wedding with Robyn & Jason!